Mending is cheap. Depending on what needs to be done to make your clothing whole and functional again, a needle and some thread and a little skill might be all you need. 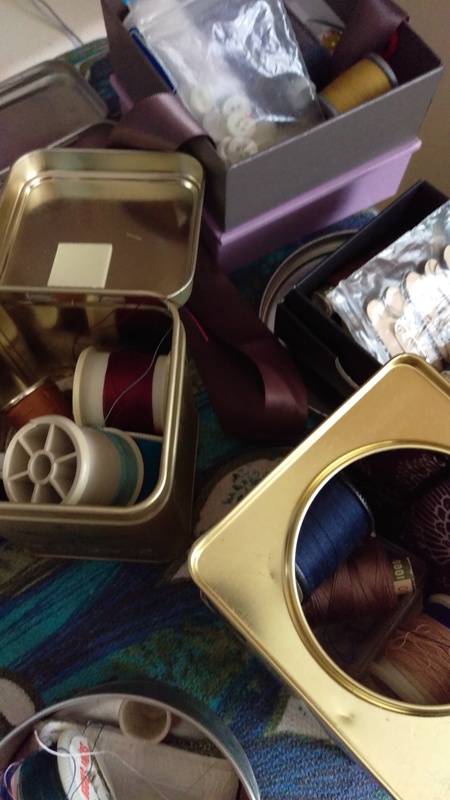 But where to find needle and thread? You may find needles and thread in the part of your supermarket where the shoelaces live, or among the laundry items. There might be a craft section in your variety or dollar store where you could find them. There are also shops dedicated to all things craft or sewing in particular. In Adelaide, these include large chains like Lincraft and Spotlight as well as independent shops like Tricia’s Discount Fabrics; The Drapery; Chapel Sewing Solutions; and the gigantic DK Fabrics. If you live near a shop that specialises in quilting or embroidery, don’t be put off by the frou-frou (if lace and floral prints aren’t your thing). They sell needles and thread and may also sell tapestry wool (small skeins of wool in many colours, which can be a boon to anyone who needs to darn the elbow of their jumper). With these you can set up a kit that will stand you in good stead for most stitching emergencies.